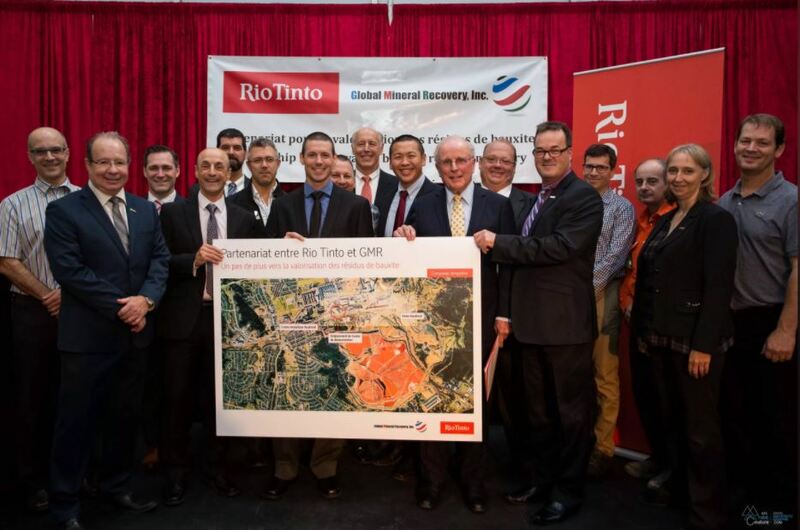 Rio Tinto is partnering with Global Mineral Recovery, Incorporated, (GMR) of Worcester, MA, an innovator in processing fine particle industrial residue using environmentally friendly technology, to explore the potential to extract minerals from the bauxite residue produced by its Vaudreuil refinery, in the Saguenay – Lac-Saint-Jean, Québec. A total amount of $6 Canadian million dollars will be invested in this project, which includes a demonstration plant to be installed in the existing facilities of the Jonquiere Complex. Jean-François Nadeau, General Manager, Jonquière Complex, declared: “Today’s announcement is part of the commitment presented to the public following the consultation process undertaken with the community on the Vaudreuil 2022 project over the past two years. After following GMR’s progress at the lab scale, we are very pleased to support GMR as it takes the next step to demonstrate its technology. GMR’s project stands out as an attractive development with the potential to valorize a significant portion of the bauxite residue on an industrial scale.” Paul Kennedy, President and Co-Founder of GMR, issued the following statement: “GMR is excited to have this opportunity to demonstrate its technology and commercial business model in partnership with Rio Tinto, here at the Jonquiere Complex in the Saguenay Region of Quebec. Our objective is to ultimately deliver a complete reclamation of bauxite residue into useful minerals, metallic oxides, and earth friendly materials. 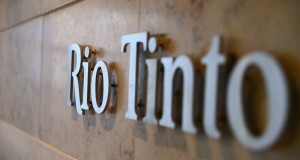 We are pleased to have the support of Rio Tinto and their commitment to our success. We look forward to creating jobs in this Region and leveraging the incredible local resources to address this bauxite residue challenge.” Over the past four years, Rio Tinto has invested $750,000 Canadian dollars for research and development on the valorisation of bauxite residues. GMR has the potential to be an innovative solution to an important industrial challenge. Rio Tinto will devote $1.5 million Canadian dollars to the project while GMR will be investing $4 million Canadian dollars. The purpose of this project is to demonstrate GMR’s process on a continuous basis for equipment scale-up and product development. This positive partnership aims to not only reduce Rio Tinto’s environmental footprint but also leverage economic benefits in the region. Indeed, the majority of the work will be conducted by two local firms that have already been engaged to assist in the development of the demonstration plant. 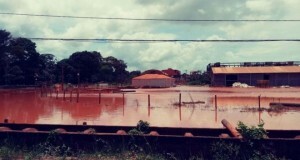 For several years, Rio Tinto has been working to identify pathways for the valorisation of bauxite residues and will continue the work to identify other valorisation solutions. GMR is a technology based company formed in the USA by individuals with deep experience and knowledge in metals processing and remediation processes. 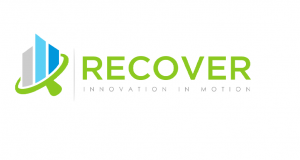 The company and its founding members are intimately related to Worcester Polytechnic Institute (WPI) in Massachusettes, and is establishing a research laboratory in Worcester. GMR has established a presence in Canada, and an exclusive partnership with Rio Tinto, to bring its technology to bear on the bauxite residue located in Northern Quebec. GMR technology allows it to extract valuable minerals and metallic oxides using environmentally friendly processes, resulting in a reduction in the space required to store bauxite residue while improving the environmental footprint of the remaining residue.